There has been intense speculation surrounding the future of Arturo Vidal in the last period. According to a report from Tribalfootball, Boca Juniors are willing to make 18 million euros offer for Arturo Vidal. The 31-year-old has been subject to interest from various European clubs. The Chile international was signed by Barcelona in August 2018 from Bayern Munich for a fee of 18 million euros. The 31-year-old has a contract until 2021 with the club. In total, he has scored 2 goals and supplied 5 assists from 41 Barcelona matches. His record for Chile is also impressive. Vidal has scored 26 goals in 107 matches for Chile at senior level. The Barcelona manager does not see him in his plans and would be open to letting him leave. Gustavo Alfaro wants to sign a new midfielder and Arturo Vidal is one of the names at the top of his wishlist. 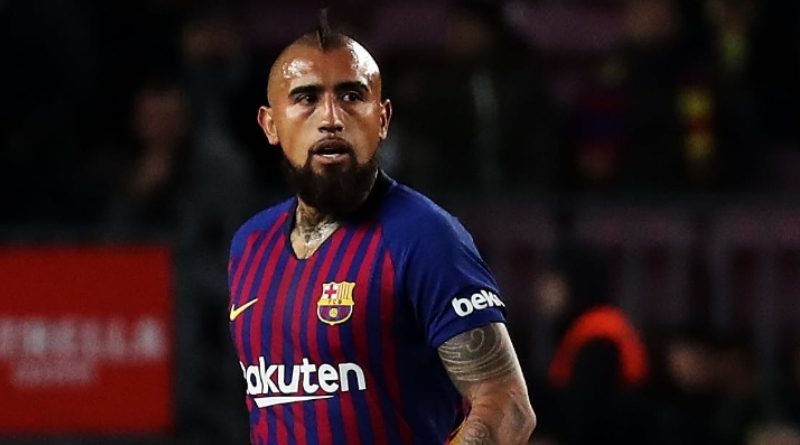 Arturo Vidal has been long term target of Alfaro as the manager look to bolster his midfield options. Barcelona are preparing to sell their midfielder should they receive right offer for him. Stylistically, he would be a great fit in Boca Juniors. Whether or not this is the end for Arturo Vidal in Barcelona remains to be seen. If the move goes through as reported, then it would be a fantastic deal for all parties involved.